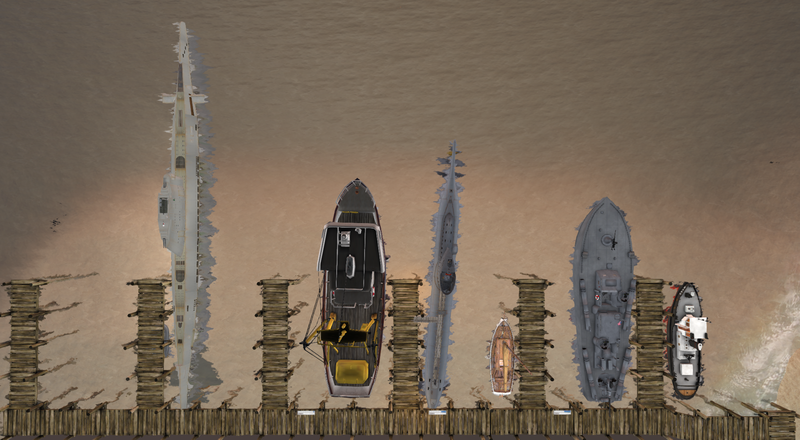 Dock your boat at the port to get ready for the coming siege! Own a slip for your boat with easy access to the waters of the Jeogeot Gulf today. Sail straight into combat or go on a leisurely trip! 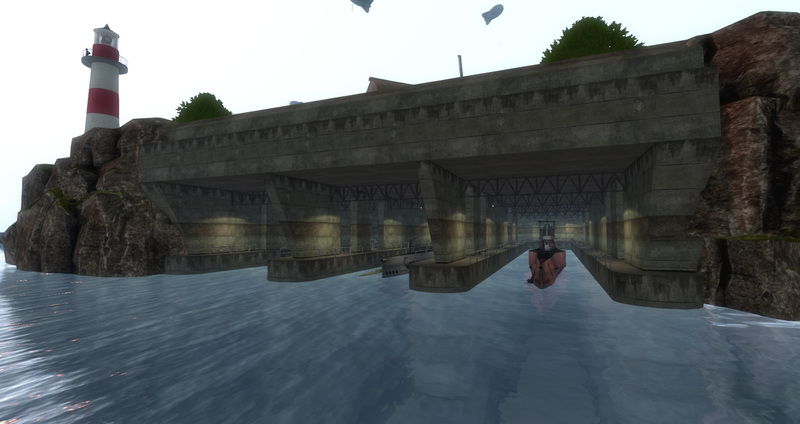 Hide your submarine underground in the port! Get ready to hunt some tankers with your prime combat real estate! Try to stay in theme. IE: No yachts in the slips, no passenger jets in the revetments. Don’t litter! These aren’t separate parcels so you’ll be in the sim’s landgroup. This means vehicles and such you rez out with the tag on will not get autoreturned. Clean up after yourself or don’t use the tag when rezzing out temporary items. Try to stay within boundaries of your rental spot. Contact Ghost Menjou in world if you have any questions.